This is a two year half-day program for high school students. A machinist operates many types of machines, lathes, shapers, drill presses, grinders, and metal cutting saws. Students must learn how to work from blueprints and written specifications. Instruction is designed to give students experience in the variety of machine tools and the use of precision measuring tools. 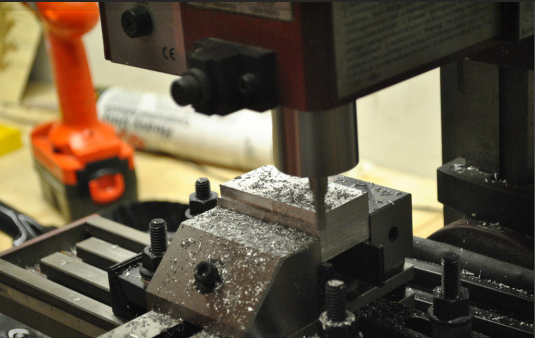 Subjects taught include: use of measuring tools, hand tools, lathes, drill presses, shapers, milling machines, grinders and saws, and the heat treating, furnace hardness tester. Program related mathematics and blueprint reading are also taught. Students may enroll in the Tool and Die program after completing the Machine Shop course. Students must be a junior at a Kanawha County high school. There are no additional costs associated with this program for High School Students. Students should wear foot wear that is appropriate to the industry.